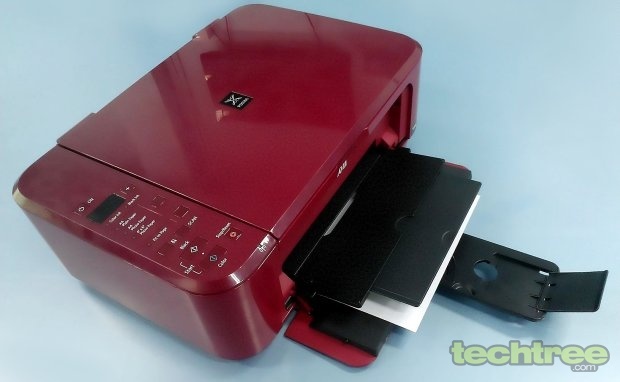 A good performing multifunction printer with Wi-Fi. Good print quality; Fast printing speed; Ease of use; Good software; OCR; Low cost of printing. Slow copy speed; No memory card reader; No PictBridge; No ADF. Multifunction devices or MFDs are devices that can do it all – print, scan and copy and sometimes fax. MFDs are usually targeted at offices as they save on precious office space due to a single device replacing four devices. The PIXMA MG3170 is no different; it is one of the latest ones in the Canon stable and unlike traditional boring MFDs, looks pretty and is suitable even to adorn your living room in style. In fact, it is actually full of cheerful features such as Wi-Fi printing and adding 5 fun effects to the image being printed, targeting the general home user more than an office. The MG3170 is a medium size device and weighs reasonably at just 5.5 kg. The black wine red body has no sharp edges, and the design is pleasant to look at. While the trays may appear a bit tacky, they are actually quite flexible, and hence will not break unless subjected to excessive pressure. The glossy finish means dust especially fingerprints become easily visible. Based on thermal inkjet technology, the MG3170 comes with two cartridges — black and tri-color. The cartridges can be installed by opening a door on the front-right of the device, which is more convenient than the usual method of sticking your hand inside the bay to do the same. Both paper trays are situated at the front. These trays fold to conserve space during storage, and have retractable extensions to increase their length to hold paper. The input tray can hold 100 sheets of paper, which is sufficient for any SoHo or SMB. It accepts paper face down and top edge inside, while printed paper comes out face up and top edge out. Automatic duplex mode means that two-sided printing takes place without you having to manually feed the page again to print on the second side. The user-friendly control panel is situated on the left and has a 7-segment display that can display up to 9 print outs. Thus, you can choose to print up to 9 copies from here but you cannot reduce or enlarge them. There is a soft power button just above the display, while there is a "+" button to the right to add to the number of copies. Strangely, there is no "-" button to reduce the number of copies and the only way to do it is to keep pressing "+" till the indicator reads 1. A button to choose three preset paper sizes is present along with a Fit-to-Page button. Below this, there is the convenient Scan button that lets you scan directly to the PC through the Auto Scan Mode, which automatically recognises the document type and then makes the optimal scan and save settings. Dedicated Colour and Black copy buttons allow you to make copies of your documents and there is also a Settings button to modify device settings. A blue LED indicates the Wi-Fi status. The scanner is of flatbed type and can scan documents as large as A4 size. The absence of an ADF means that you have to waste your time at this machine, while scanning or copying a bunch of documents. The optical resolution of the scanner is 1200 x 2400 dpi, which is pretty high for any practical purpose. This MFD uses the USB 2.0 interface, which is the common interface in most systems today. It also supports Wi-Fi to print directly over a wireless network or from devices such as smartphones, tablets, and laptops. There is no button to switch the Wi-Fi On or Off. Even though it does sport photo printing capabilities, there is no memory card slot or even PictBridge port, which is something that Canon should not have left out. In addition to the drivers, the application CD came with many different software utilities to take care of different needs. The Solution Menu EX is a control centre of sorts, where you can access all the applications bundled with the printer. The "My Printer" is also yet another control centre where you can diagnose and repair the printer, adjust printer settings, view printer status and do general troubleshooting. The MP Navigator EX lets you not only scan or import documents and images, but also manage them. This is in fact a frontend to different applications such as OCR, image editor, email client, etc. Easy-PhotoPrint EX allows you to easily create albums, calendars and stickers using photos taken from a digital camera. It also lets you enhance photos and save the items you create. My Image Garden lets you use photos taken with digicams and scanned images saved on the computer and organise them to create collages, cards, and other items before printing them. Printing preferences options let you control various settings using multiple tabs. You can select print quality, paper size, colour intensity, and grayscale\colour printing. You can also opt to adjust the colour settings manually to fine tune the results. Paper size, orientation and layout in general, and duplexing to save on paper are some of the other available settings. The Image Optimizer feature smoothens out jagged edges, while the Photo Optimizer PRO corrects the colour and brightness of images which have been input from a digital camera or scanner and is designed to compensate for colour shift, overexposure, and underexposure. The Photo Noise Reduction feature can reduce digital noise in a photograph, to produce better prints. Maintenance options are also aplenty, with not just print head alignment and cleaning options, there are options to clean the bottom plate and roller as well. There is even an option known as Quiet Mode – an innovative feature that reduces the printer noise. The Auto Power button lets you set the idle time after which the printer will switch off, thus saving electricity. The option to power off the device straight from the PC is useful if it is placed far from the PC. By clicking on Ink Cartridge Settings button, you can select whether any print job to the printer should use one of the cartridge for printing, or both of them. This can let you economize the print cost. You can select the quantity of ink sprayed on the paper, which determines the time in which the printed paper dries. There is even an option “Prevent paper abrasion”, which increases the gap between the print head and paper during high-density printing to prevent ink-streaking caused by paper abrasion. This printer comes well armed with Mac drivers as well. The installation of the MFD was very swift – it hardly took 10 minutes for the whole setup to complete. New users can choose Easy Setup for a one step setup, while experienced users can select a custom setup to choose individual components to install. The software prompts you to choose whether you want to install the printer as connected to a PC via USB or as a wireless printer and guides you appropriately. We tested the MFD using a variety of tests to test its printer as well as scanner components. Here is how it fared. Font size printing test: We printed a page containing all the alphabets in fonts with size ranging from large to very small. The text was clear and sharp at all font sizes. Text print speed: We printed a page of black text in draft and normal quality to find the speed as well as quality of the print. The MFD printed at an average of 8.7 pages per minute in the draft mode, and there was only a minimal drop in speed to 7.6 pages per minute in the normal mode. These are good speeds. The overall print quality was found to be decent with some skewing and smudges in the draft mode. Presentation document speed: This consisted of a page of multi-coloured graphs, text, charts, patterns, and photos. The MFD printed at an average of 3.4 pages per minute in the draft mode, and there was only a minimal drop in speed to 2 pages per minute in the normal mode. Colours were understandably fainter in the draft mode with graininess and smaller point size fonts were not legible. Normal mode print quality was good. Photo print: Just like Canon printers we have been reviewing over the years, the photo quality was really good. Colours are almost as good as the original, while there was slight graininess in some areas. An A4 colour photo printed really fast in just 4 minutes and 40 seconds. Scanner test: The scanner is quite good at capturing colours as well as shades of grey. Fine details are also captured with ease. It takes an average of 9.5 seconds for a default scan, which is normal for such devices. For an A4 size black and white scan at 200 dpi, it takes 19 seconds. The time to scan a colour photo at 600 dpi is comparatively faster, taking just 46 seconds. Copying test: The copier test tries to find how well the printer and scanner components work in tandem. Black and white copies printed at an average of 2.5 pages per minute, while colour printed at 2. Thus, the copier part of this device is slower than other MFDs. The quality of the copies is decent as it was even able to reproduce the small text enough to be legible. We must mention that there was no issue regarding paper handling with any of the above kinds of paper. Power consumption: As usually, we used our Kill-A-Watt meter to find the power consumed by this MFD. When the soft power button is switched off, the power consumed by the device is 0 W according to our power meter. At idle, the power consumption was found to be 2 W, which increased slightly to 6 W when the scanner was used. 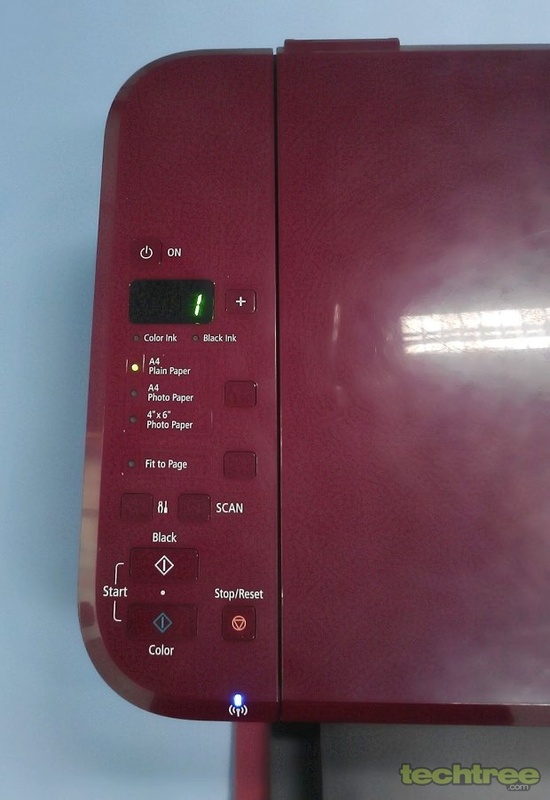 Printing consumed 10 W while the most power was consumed during some part of copying when the scanning and printing is being done simultaneously, and this was found to peak at 15 W. Since the printer will usually be in the standby mode, the power consumption is really a non-issue. The Canon PIXMA MG3170 is a decent device at a decent price. The print quality was found to be good in most cases as far as a home user or SoHo is concerned. The print speed is quite fast even while printing photos at the highest quality setting, so you won't have to wait too long for the print to be produced. Automatic duplex mode is definitely a timesaver when it comes to two-sided printing. Copying is slower than other MFDs in this price range. Wi-Fi connectivity is a good feature in today's world. The driver interface is very easy and the overall ease of use is really worth noting. Also, it comes with good bundled software including an OCR and the drivers are for Windows as well as Mac. It does have its share of woes such as a lack of ADF or facsimile, but that should not be much of an issue with the target consumer segment. The standard capacity black cartridge costs Rs 920 with a cost per print of Rs 5, while the colour cartridge is priced at Rs 1365 with a page yield of 180, thus yielding a colour-only print cost of Rs 7.58. The high capacity black cartridge costs Rs 1465 with a cost per print of Rs 3.66, while the colour cartridge is priced at Rs 2250 with a page yield of 400, thus yielding a colour-only print cost of Rs 5.63. Even though the print quality is good, the cost per page is certainly on the higher side, making it not so viable for SoHo. Home users who may not print many pages may still opt due to the great scan and copy quality, which is the functionality that will be used more often by this segment. 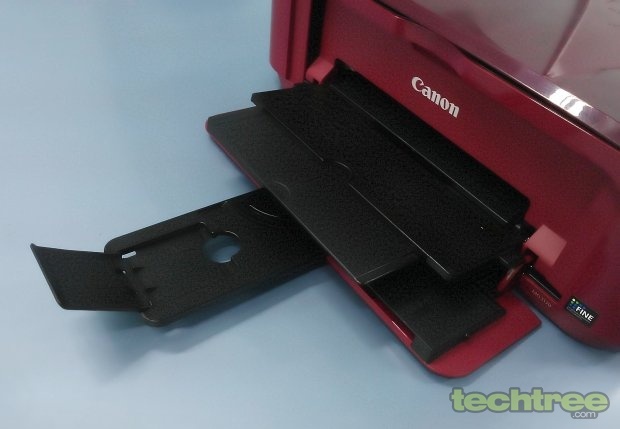 The Canon PIXMA MF3170 is priced at Rs 5990 with a 1-year warranty.